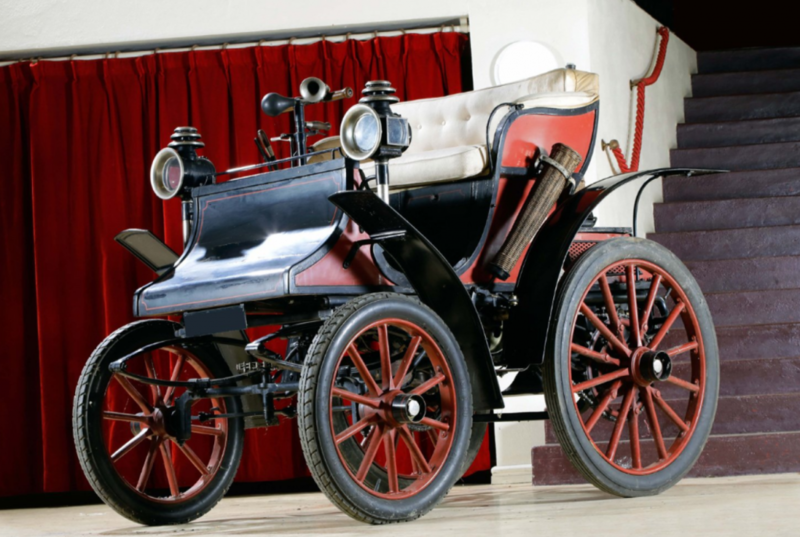 Emile Delahaye founded his car company in 1894 in Tours, France. The car we have here is one of the earliest Delahayes in existence and is believed to be one of the earliest Type 0 examples produced in 1898. The Type 0 was available from 1898 through 1901, and 250 examples were produced. It is powered by a 1.4-liter single-cylinder engine making somewhere between five and seven horsepower. It was capable of 22 mph. Only four examples of the Type 0 are known to exist, and this is the only one with this style of bodywork. Remarkably, the original owner is known, as is its history since, which included a long museum stay. That’s exactly what most cars of this era have become: museum pieces. It would be great if the next owner would get it out for vintage road rallies. It should cost between $115,000-$170,000. Click here for more info and here for more from this sale. This entry was posted in Uncategorized and tagged 1898, auctions, cars, classic cars, delahaye, osenat, Type 0 by classiccarweekly. Bookmark the permalink.